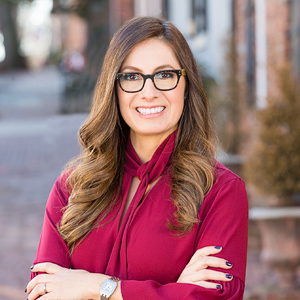 Angela Vargas offers patience, thoughtfulness and dedication to her clients’ needs. She is licensed in Virginia and Maryland, and has been working in real estate for the past 12 years. She is also an enthusiastic member of the District Partners team at Compass. A native of Bogota, Columbia, Angela has called Northern Virginia her home for the past 17 years. Fluent in both English and Spanish, she brings an international perspective and sensitivity to the diverse Washington Metropolitan marketplace. She believes that each buyer, seller and property is special and unique. Her ultimate goal is to make each transaction an enjoyable and stress-free experience. Her care and dedication results in a high percentage of repeat and referral clients. Angela lives in Fairfax, Virginia with her husband and three daughters. She enjoys the extraordinary wealth of amenities in the capital region, from national museums to multicultural dining.